✿ Why was Written Hands formed? When I was working as curator at Korea Ceramic Foundation, organizing Biennale programs and some other local and international projects, I often felt frustration about policies and timelines only being determined for the short-term. There was no possibility to plan for some long-term project which would require actual questioning, discussion, debate, collaboration and cooperation with artists and experts from all different kinds of artistic/academic fields. Some serious projects to contribute to enlivening discourses and practices of ceramics in our lives were not welcomed. I was sharing these critical thoughts with a colleague curator at that time at KOCEF, and with some artists who inspired me so much (Philippe Barde, Toshio Matsui, among others). Then I got to have an idea about forming a sort of ‘think tank’ for not only ceramic art, but for all different kinds of fields joining along with ceramics. Methodology is quite essential to me. And sociology has always fascinated me. For my master’s thesis, I conducted research on post-human imagery and practices in art and society, via many references in the sociology of the body. When Philippe Barde introduced me to The Craftsman by Richard Sennett, I identified what I wanted to establish as my own in the field of ceramics. ‘Hands’ don’t signify only techniques. They represent human creation, not by an artist of genius but through what Richard Sennett identifies as “debugging” by a fallible human. ‘Written’ represents all kinds of interpretation, as I believe every inspiration and inspirational moment come full circle, regardless of materials, genre, style, hierarchy, etc. It could be writings, exhibitions, musical pieces, or even protest. Since beginning, the Written Hands has been managed as an open curatorial platform. Along with artists, also graphic designers, sound artists, musicians, curators and editors have been and are to be invited. When I have projects commissioned by public institutions, due to administrative regulations, I cannot work as the Written Hands, but the direction and fundamental problematics stay all the same. ✿ Why do you publish your website in English? The website is still under construction. Only recently could I re-start to work on it. Basically, trying to achieve the previous projects but soon to upload some articles on ceramics and objects for human life. Since I’ve always been working with international artists, it is natural for me to publish bilingual books and websites, or any other communication materials (and/or French/Japanese depending on project). Another reason is related to a kind of sense of duty, as a Korean curator. Korean artists, especially ceramic artists are not good at promoting themselves (there is no education for self-presentation). Many of them even find it very hard to write a CV in English. As for public institutions, they are disinterested and incapable of producing articles or creative contents in English, featuring Korean artists and their activities. I’m not approaching it in a nationalistic-promotion-wise, but rather searching for diverse possibilities of inspiring and getting inspired. 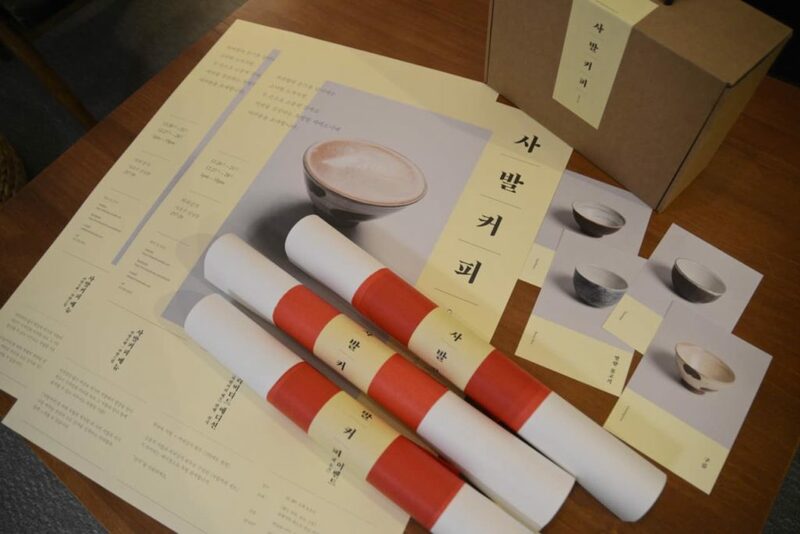 ✿ Can you describe the Korean coffee ceremony in Cafe au bol? 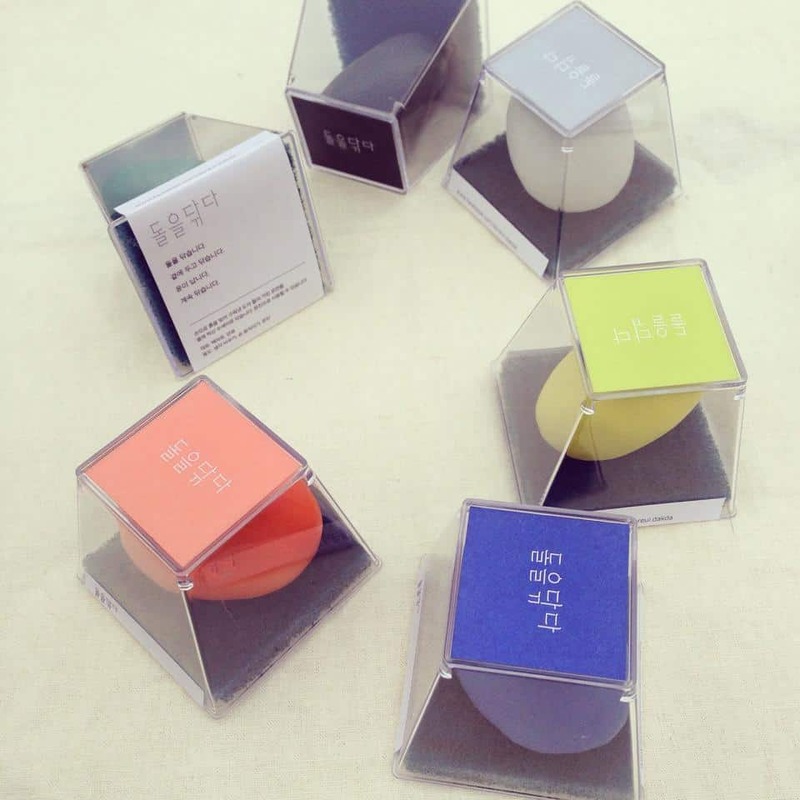 I don’t think there is something like ‘Korean’ in Café au bol, not in our intention anyways. All members and ceramic bowls, and participants are Korean, so yeah, why not call it Korean. I guess the word ‘ceremony’ could bring to mind the Japanese tea ceremony which is very solemn and aesthetically controlled, but Café au bol is much more casual and liberal.. well, let me say, dynamic. 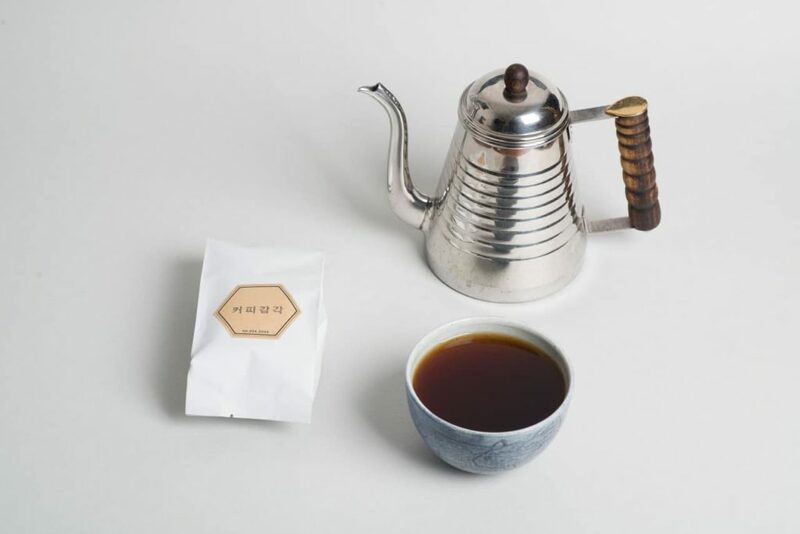 It is rather about inviting the general public to rediscover an unusual humble moment in their own everyday life, through appreciating the beauty of highly crafted objects and coffee. Served in a beautiful bowl that you have to hold in your two hands, feeling the warmth on the delicate surface of the bowl, touching the scent of coffee. A dynamic dialogue between coffee master Q and ceramic artist Huh Sang-wook makes this ceremony more concrete. Interchanges and appreciation of each other’s work and expertise produced specially designed bowls and customized coffee (functional and aesthetic features were discussed in detail, including temperature, size, thickness, shape, angle, taste, favor reaction and look). Surprisingly, the general public seemed more impressed than usual art lovers. They brought their friends and purchased the package (coffee beans + a bowl) without hesitation – and even re-ordered after the event ended. We still believe that as a work of craft shines when it permeates people’s lives, then let people appreciate their own lives through interaction with the beauty of the object wherein resides the artist’s energy. ✿ Where did the idea of Doreul–dakda come from? The very first edition of Doreul-dakda was a trial work of Park Jung Hong who takes part in the art work in our project. The idea was about creating a sort of invisible string between the artist and visitors. But since 2014, we started to reformulate the project, keeping the original title but reinforcing the concept of the polishing action, because I found it very important to let people finalise the work, which will never be perfected. A repetitive action is one of the core elements in craftsmanship, and it is also a debugging practice in human life, which allows us to empty our ‘mind,’ using our body. 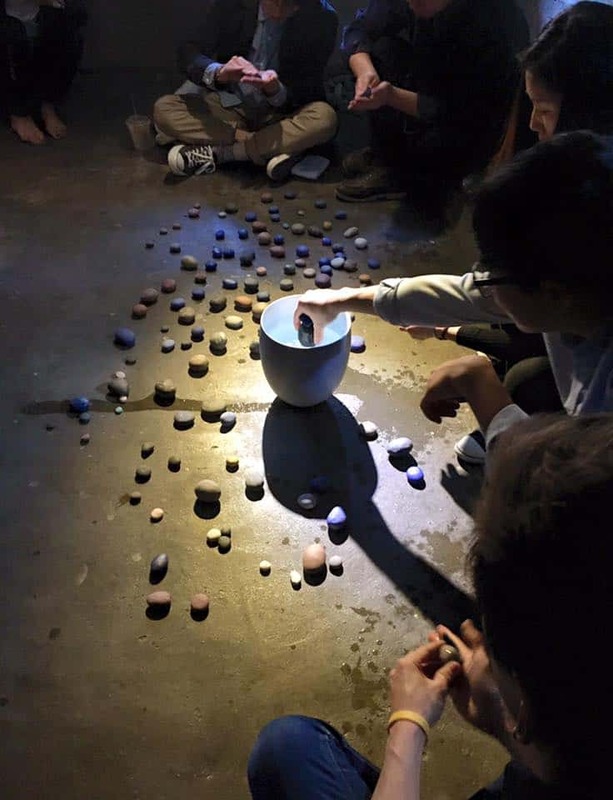 During the performance, restricting phones and talking, the project suggests to do nothing but polishing, to concentrate what you feel on your hands, and what your hands are realising, giving you a little break from watching or thinking. Apart from that, I think this project suggests to think about collectivity in craft creation. The project itself has many authors: designer, curator, ceramic artist and sometimes musician, and the participants. It is very much a craft work presented as a participatory performance or workshop, but the crafted stone is to be completed not when it becomes shiny, but only when you come to shine. ✿ How do you distribute the stones? Participants come to look at the stones installed randomly on the floor or hung from the ceiling, and choose one. They can look, touch and compare, and finally get to choose one. It is interesting to see how they choose their own stones. Some people do after a very careful observation and some people just instinctively choose one without consideration, just at first sight. After this choosing ceremony, they have to polish their stone for a while (we suggest average three hours and people stay polishing for an average of one hour), and then they can take it home. When they leave, we give them spare pieces of sandpaper in a paper envelope, so that they could continue to polish afterwards. ✿ Has anything surprised you about how people have responded to the project? Both in Café au bol and Doreul-dakda, the public’s perception is quite accurate. Without any sophisticated rhetorics, they just get to the point and are actually quite good at finding their own pleasure and interest in the suggested situation. ✿ Do you have any future projects in development? The second edition of Café au bol is to be held in December. Doreul-dakda is also an on-going project, and I have been planning to present it in Kyoto, also in a European city (Geneva among others) with a different thematic workshop in each city. But I feel the project needs to be identified more concretely as a concept in order to go on to meet more people from different cultures. Apart from those two ongoing ones, written hands is going to edit some publications. Thanks to a national grant, two of them would be published in English, too. 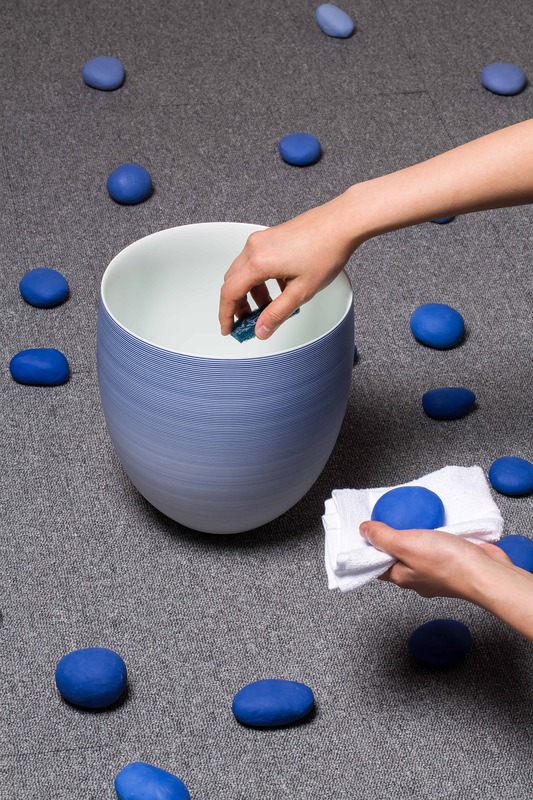 The most exciting upcoming project is a series of seminars focusing on craft criticism. Reading several texts including Sennett, each session would produce new articles based on the discussion during the seminar. This seminar will be published on a website, too. Yujin Eugénie Moon majored in Art Studies at Hongik University, Moon has worked in the international market for arts and crafts since receiving her M.A. in 2007 with her thesis “Cyborg Body Images in the Posthuman Era: Focusing on Orlan and Stelarc.” As curator of the World Ceramic Biennale Korea (2008-11) and executive curator of the Icheon Ceramics Festival (2013), she has handled numerous international projects aiming to incorporate the aesthetic experience into ordinary life, examining inter-exchanges of art practices in diverse genres embracing arts, crafts, music and food. Among the events were the Clay Art Film Festival (2009), World Ceramic Art Jamboree (2009), Postmodern Ceramics (2009), Croisements vers la communication (2010, Paris), Mille et un bols (co-curated with Dialogue Céramique, 2010), 10 Days—International Creation Camps (2011), Migration of Creation (2011), Buncheong Seminar (2011, Geneva), Lake Sound Performance (2013) and Tasteful Dishes & Tasty Dishes (2013). She has also led collectives of artists in serial projects such as Café au Bol (2014–15) and the Doreuldakda Project (2014–16). Moon’s latest venture is Project Hope? 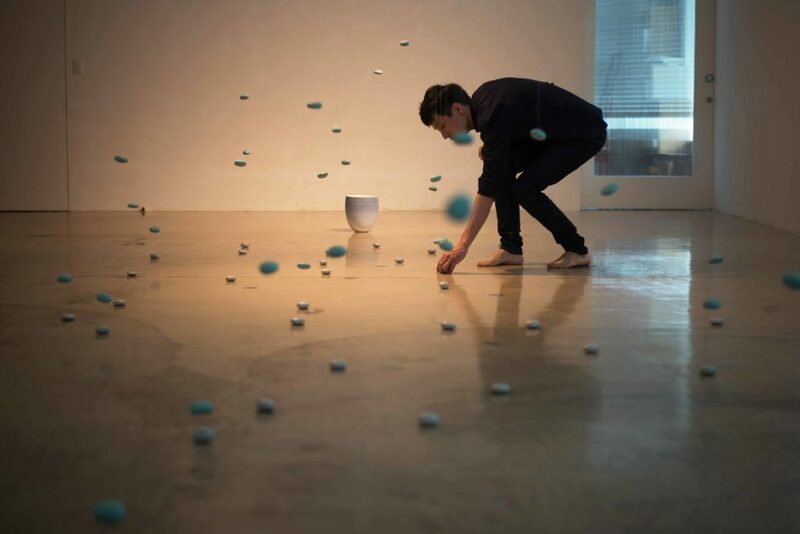 (2016–18, Kyoto and Seoul), an experimental work with young Japanese and Korean artists and musicians examining the role of arts in an era of insecurity. She has translated numerous academic essays for public cultural institutions and co-translated Glenn Adamson’s books Thinking Through Craft (2016) and The Invention of Craft (2017). She is also the author of Dialogue and Becoming (2011). Moon has worked at several public institutions including the Asia Culture Center in Gwangju and Korea Ceramic Foundation in Icheon. 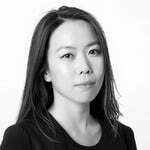 She is also co-founder of a curatorial agency The Written Hands.